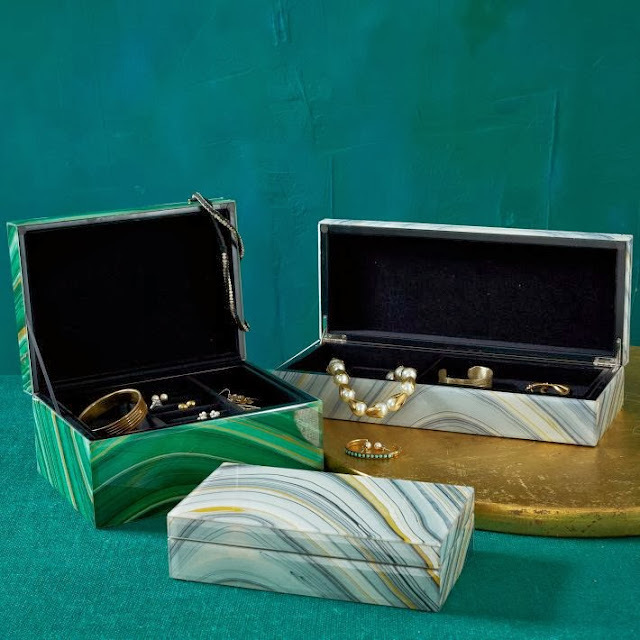 Jonathan Adler stackable trays -- in an array of colors. $29.99. 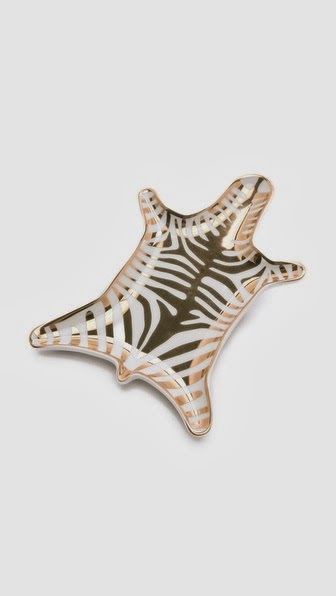 Pretty in an entry for keys or on a bedside table for jewelry. 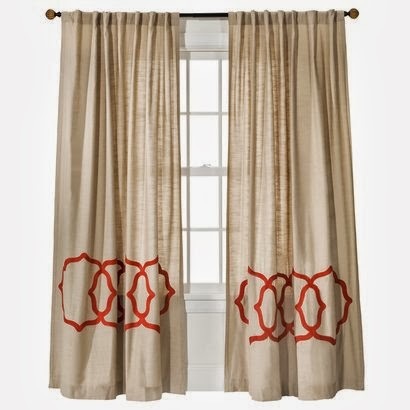 Fretwork drapery panels: Threshold for Target, $29.99 also in a variety of colors. They are so affordable -- use as a shower curtain or on windows. West Elm Agate boxes $49-$79 - beautiful on a coffee table too! 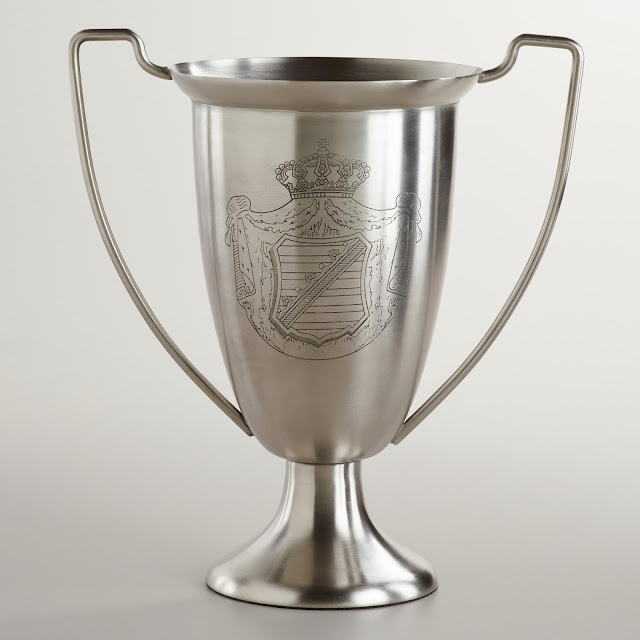 World Market, Trophy Vase - and it's etched! $14.99 in stores. Fill with flowers or a pillar candle. 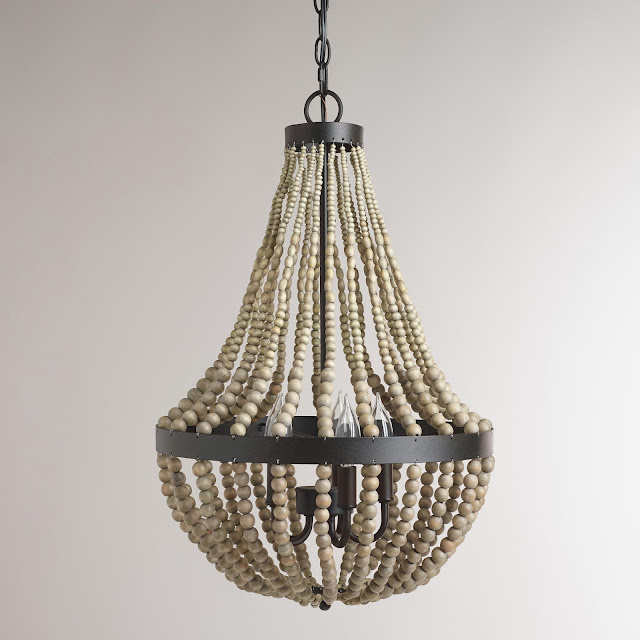 Light up any space with this Wood Bead Chandelier from World Market, $199. 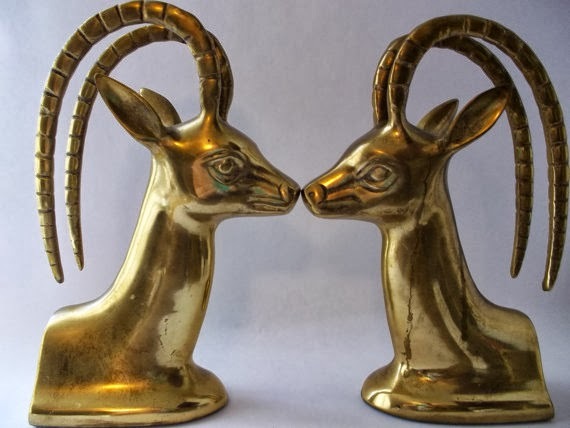 Brass antelope bookends: Etsy, $79. 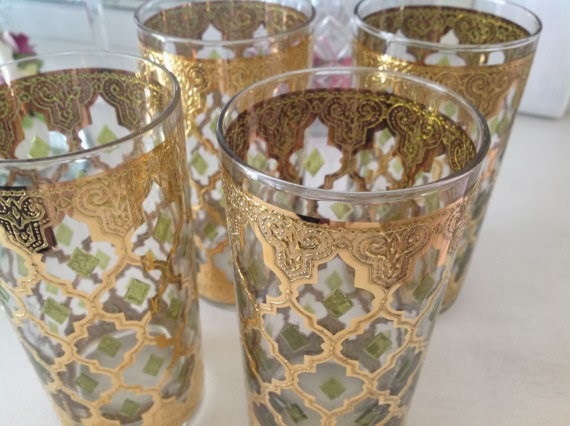 Vintage barware, $55 Etsy - just in time for holiday parties! 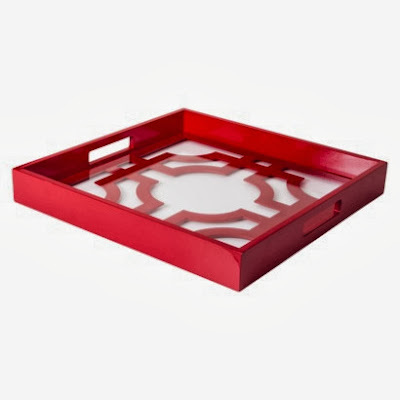 This Threshold tray for Target is $29.99 and would add the perfect pop to any surface.